Dominic’s hereditary passion for food stems from the highly acclaimed Castle Hotel in Taunton, which his family have owned and run for over 65 years. Dominic has an abundance of invaluable experience. His training has seen many great kitchens around the world, in particular, one of London’s most fashionable restaurants, Kensington Place. Having spent 10 years in London, he then moved to Berkshire and the Fat Duck, eventually to open and take up the role of Head Chef at Heston Blumenthal’s Hind Head in Bray. In January 2007, Dominic moved to the The Royal Oak Paley Street. In 2008 Dom’s passion in the kitchen gained the Royal Oak a Michelin Bib Gourmand. The Royal Oak was awarded a Michelin star in January 2010, 6/10 in the good food guide and 3 AA Rosettes. 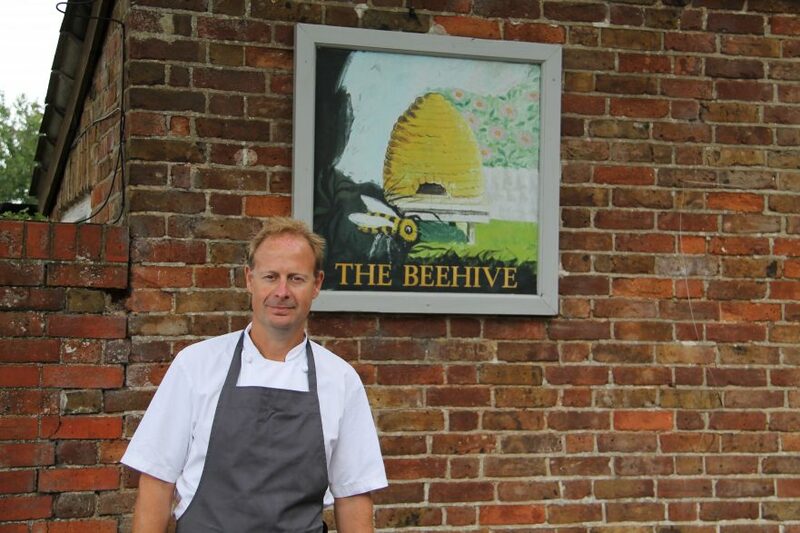 In August 2014, Dominic became Chef/Patron of The Beehive in White Waltham, a beautiful country restaurant/pub. White Waltham is a pretty village close to Maidenhead, and the pub overlooks the village cricket pitch and Berkshire countryside. Dominic continues to have a huge passion for the hospitality industry; he aims to create a successful restaurant and fine culinary experience within a relaxing village pub. Dominic’s philosophy is to ‘Feed his customers and make them happy’ – he aims to do this by offering heart warming, seasonal and affordable dishes packed full of flavour.